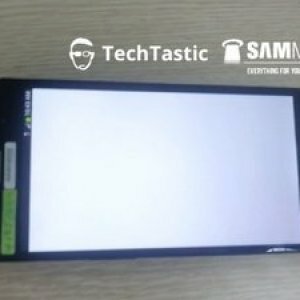 Earlier today we already reported that Samsung has started testing the third-generation Galaxy Note and we can now show you the likely design of the phablet. The device on the photo is probably a prototype, although we don’t expect that the final design will look very different. Unfortunately we will have to wait a couple of month until the official announcement at IFA 2013 in Berlin.